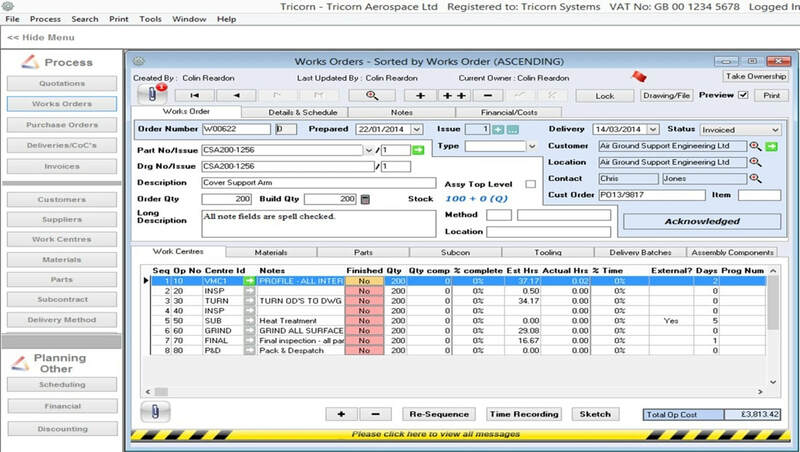 Tricorn's easy to use, powerful Quality Management System deals with all aspects of running a total quality management system to ISO9001:2015/AS9100 and other equivalent quality standards. TRICORN:QMS has been built upon many years of experience and takes account of the requirements of manufacturing companies running various quality standards on a daily basis. 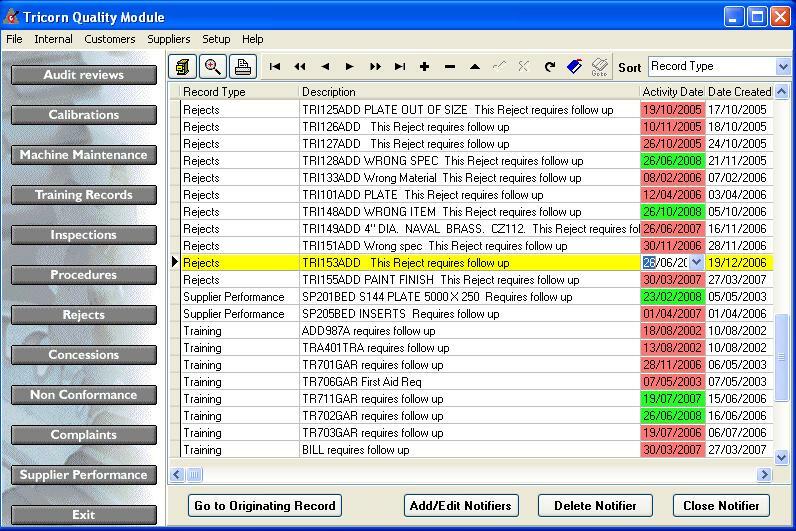 The system has an instant diary to notify users of pending activities relating to ISO, such as calibrations due, machine maintenance, and audits. Combining this unique feature with the powerful search tool available throughout provides companies with the answer to all their quality requirements in just one package. ISO requires that you have documented procedures covering all aspects of your quality management system. While calibrations and machine maintenance have their own specific procedures, all other procedures can be recorded here. The screen which is provided allows you to document your procedures using the system’s built in word processing. Alternatively, you can insert links to documentation held in other packages. Documents can even be imported into the system. Procedures can be active or inactive, which allows you to keep an audit trail of superseded procedures. Each of the other areas of the quality system has facilities that link to the procedures recorded here. You can use the reporting process to organise and print procedures, or print directly from the built in word processor for ultimate flexibility. The purpose of internal auditing is to record and ensure that your Quality Management system is being operated correctly and effectively, by performing planned documented checks. These define the way in which your company will perform internal auditing of the quality management system. They apply to all internal quality audits, which will generally be performed against the requirements of ISO 9001, the company's quality manual, procedures, process plans and work instructions. • Inspections are being carried out effectively. There are four areas covered by this section of Tricorn:QMS: Rejects, Complaints, Concessions and NCRs. Each is individually serialised from your own number ranges and can be associated with works orders or purchases. They can also be cross-referenced to each other and/or your documented procedures recorded in the procedures section. For each document you can record the basic detail, the reason, the action you are going to take and what you are going to do to prevent recurrences. You can set up reminders (notifiers) so that TRICORN:QMS prompts you when follow-up action needs to be taken. Each of the documents can be set-up to meet your documentation standards and can include features such as company logos, and quality logos. • Record equipment and its calibration/usage periods, which can be time or usage based. • Automatically set notifiers for next due events. • Produce reports covering due and overdue events using End User Reporting, further enhance your reporting with trend analysis such as identifying equipment which continually requires adjustment. Standard reports are available detailing supplier performance. 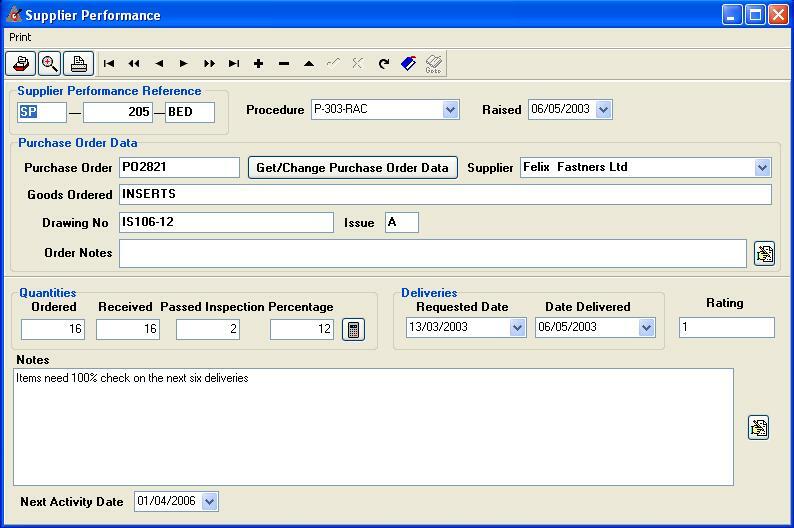 Using End User Reporting, company specific reports can be provided. For every job and sales order, detailed inspection records can be recorded. They cover all the main detail of the job or sales order with a unique inspection identifier. Quantities inspected can be recorded, with those which pass being marked with a percentage and a rating. Each inspection record has note fields for both the order itself and to record anything specific to the job. Notifiers can be set to prompt you about any follow-on activities you require. Reports can be produced covering inspection activities and trends. Procedures: ISO requires that you have documented procedures covering all aspects of your quality management system. While calibrations and machine maintenance have their own specific procedures, all other procedures can be recorded here. Audits: The purpose of internal auditing is to record and ensure that your Quality Management system is being operated correctly and effectively, by performing planned documented checks. These define the way in which your company will perform internal auditing of the quality management system. They apply to all internal quality audits, which will generally be performed against the requirements of ISO9001, the company's quality manual, procedures, process plans and work instructions. 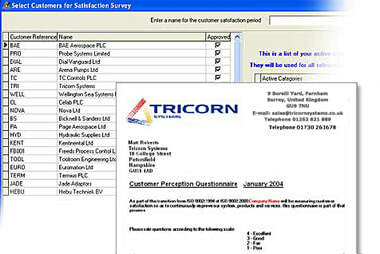 All areas of the system have built-in reports and interfaces into TRICORN:QMS's innovative notifier system. 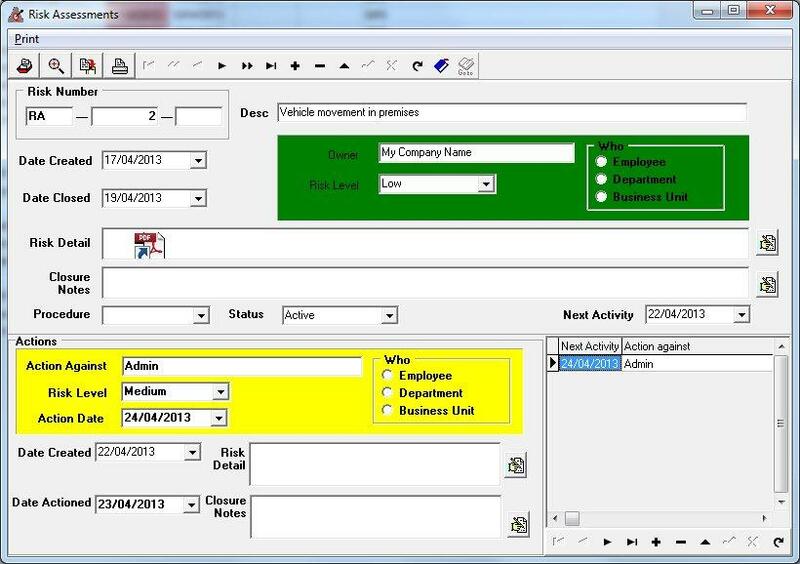 In addition there is an End User reporting module which can be used to provide company specific reports. Combine TRICORN:QMS with TRICORN:production and data from both systems can take your reporting to even further levels of detail. The section is highly configurable and allows risks to be raised and assigned ownership. All the categories of risk and the colours associated with them can be controlled by the QMS setup processes. Risk detail and other notes can be either linked to (held if external documents) or entered directly in the relevant areas. 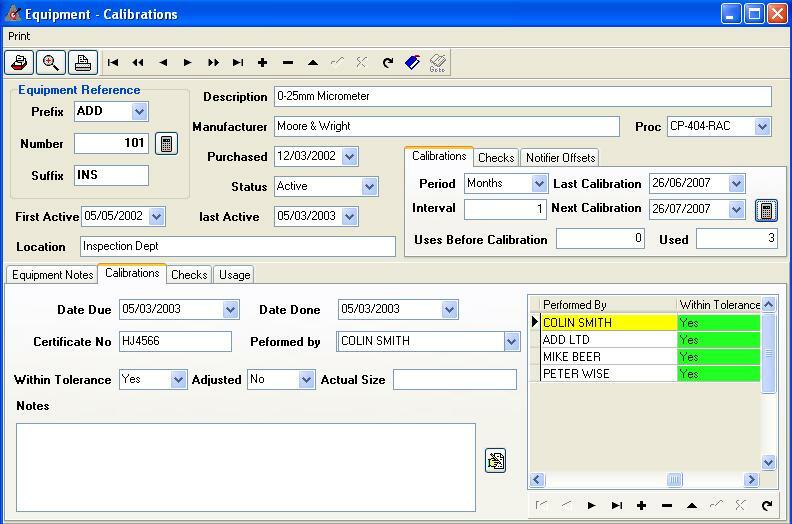 If the risk requires action it can be assigned to individuals, departments or business units and monitored using the QMS notifier/diary process.